Egg cup o'sunshine, in wet, wet Harlem. Do you know the yellow flowers? ranunculus ficaria, aka lesser celandine. doing your part to combat invasives again. Indeed they are. Never occurred to me to bring them in the house! Can I be sure they won't spread in here, too! Agreed! 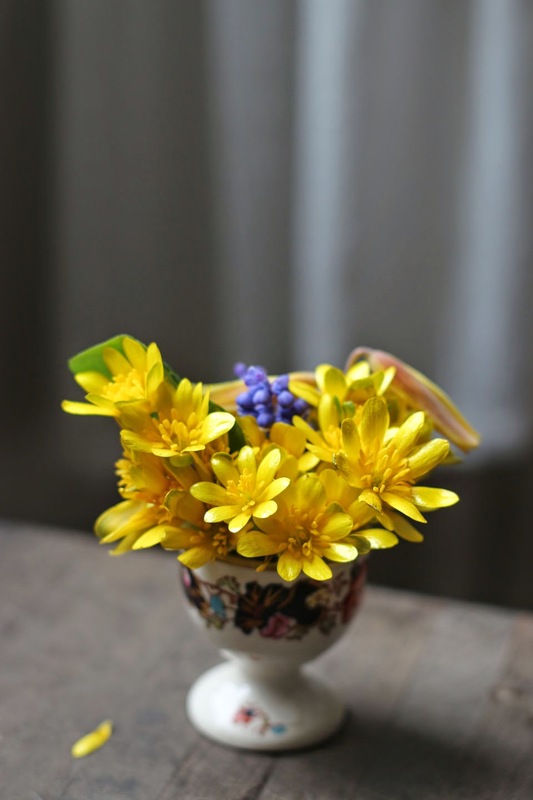 I like to bring walk-gathered flowers home as long as there are plenty of them and they won't be missed..